Defense Department, Veterans Affairs Department and Indian Health Service medical facilities can share patient information through a pilot program under way at sites in Anchorage, Alaska. The pilot is a test of the Government Computer-Based Patient Record Framework Project. If the pilot is successful, the three agencies will use a virtual private network to share patient records from disparate systems using a single interface, said Mike Galdun, a contractor working on the project for Battelle Memorial Institute of Columbus, Ohio. 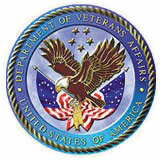 'If a DOD patient ends up at a VA hospital, the doctor could access the records at the DOD hospital,' Galdun said. The VPN uses the IP Security Standard, the 56-bit Data Encryption Standard and 168-bit Triple DES to secure transmissions. The interface uses the Common Object Request Broker Architecture designed by the Object Management Group Inc. The Needham, Mass., organization is a nonprofit group with more than 800 members. CORBA lets participating agencies use a standard interface so their disparate systems can interoperate, VA officials said. Any CORBA-based program on any computer will communicate with any CORBA-based program on any other system. For flexibility, the interface supports additional software interfaces, such as those created using Structured Query Language and Health Level Seven from Health Level Seven Inc. of Ann Arbor, Mich.
For the pilot, the three agencies are using a Ravlin 7100 VPN device from RedCreek Communications Inc. of Newark, Calif. The Ravlin 7100 can handle DES encryption at 44 Mbps and Triple DES encryption at 22.5 Mbps, RedCreek officials said.